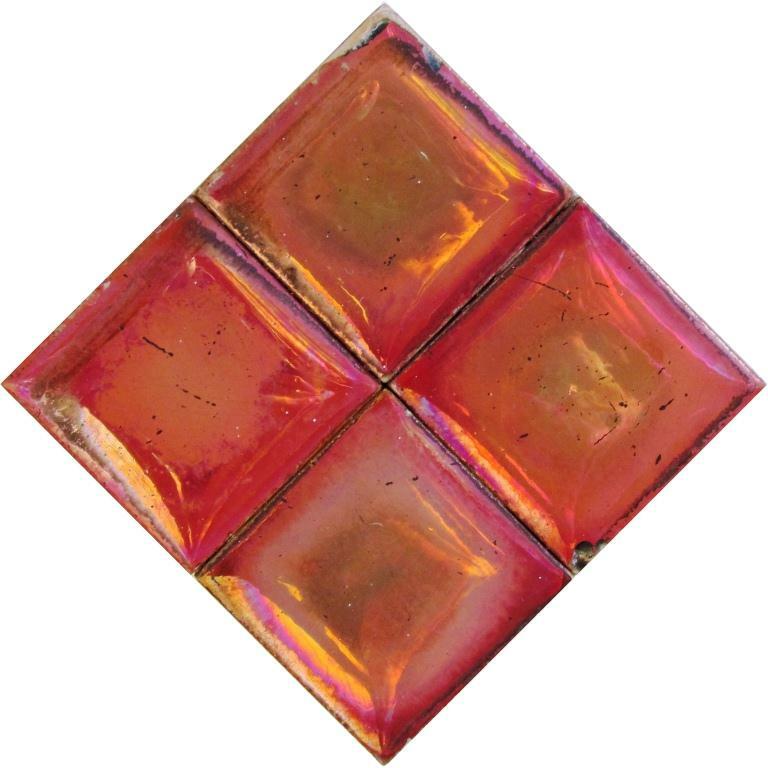 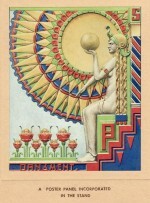 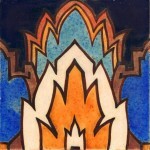 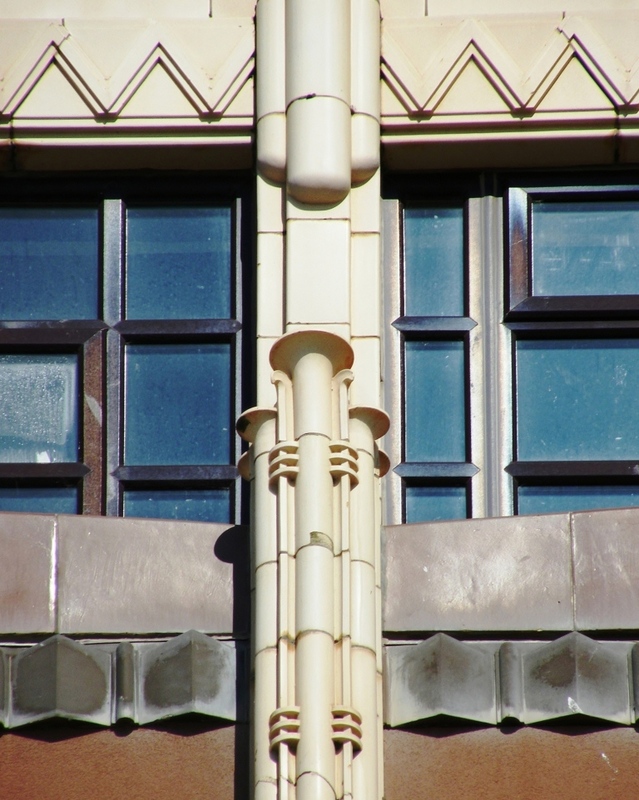 Art Deco tiles are among the most elegant and stylish tiles in the history of tiles. 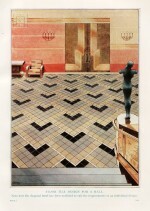 The term has been derived from the influential Exposition Internationale des Arts Decoratifs held at Paris in 1925. 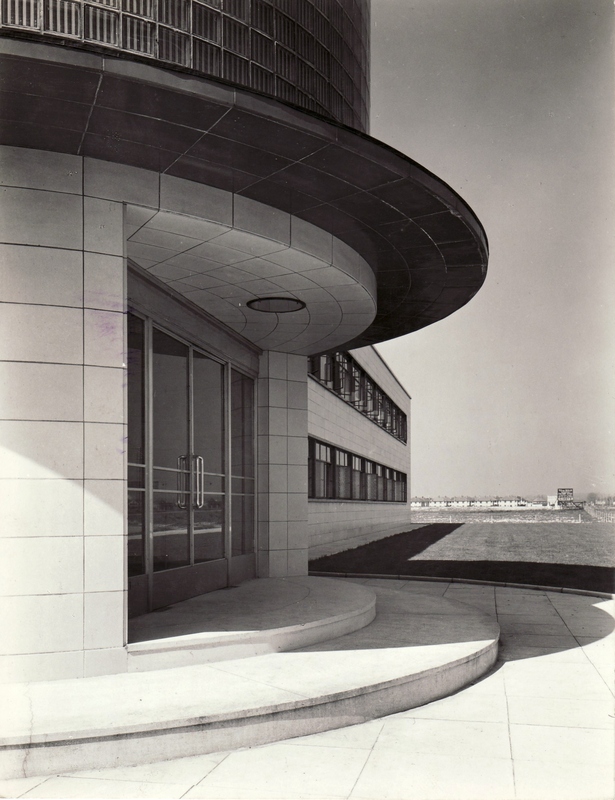 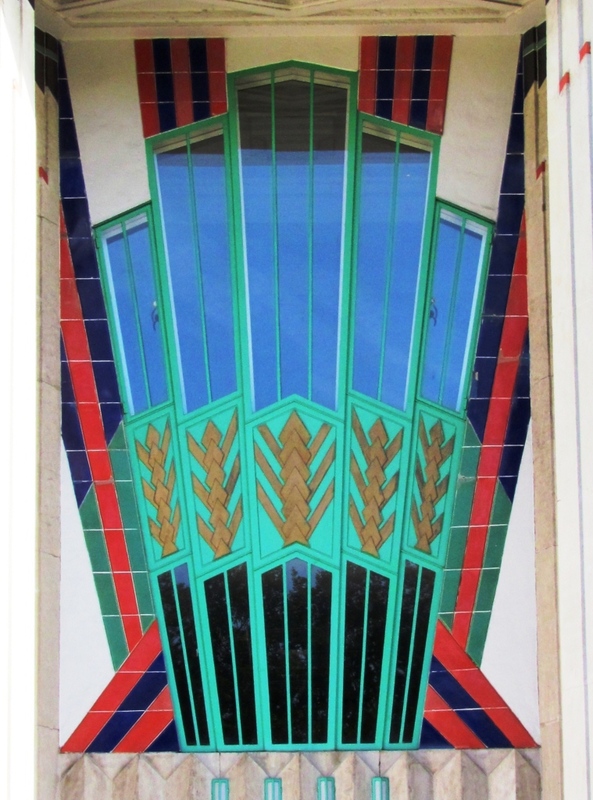 Although Art Deco has underlying design tenets in which the dictum ‘less is more’ occupies a central place, there is surprisingly great diversity in how Art Deco characteristics found expression in figurative and abstract design. 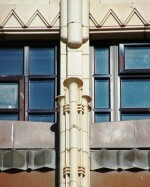 It affected all facets of interior and exterior design including ceramic tiles and architectural faience. 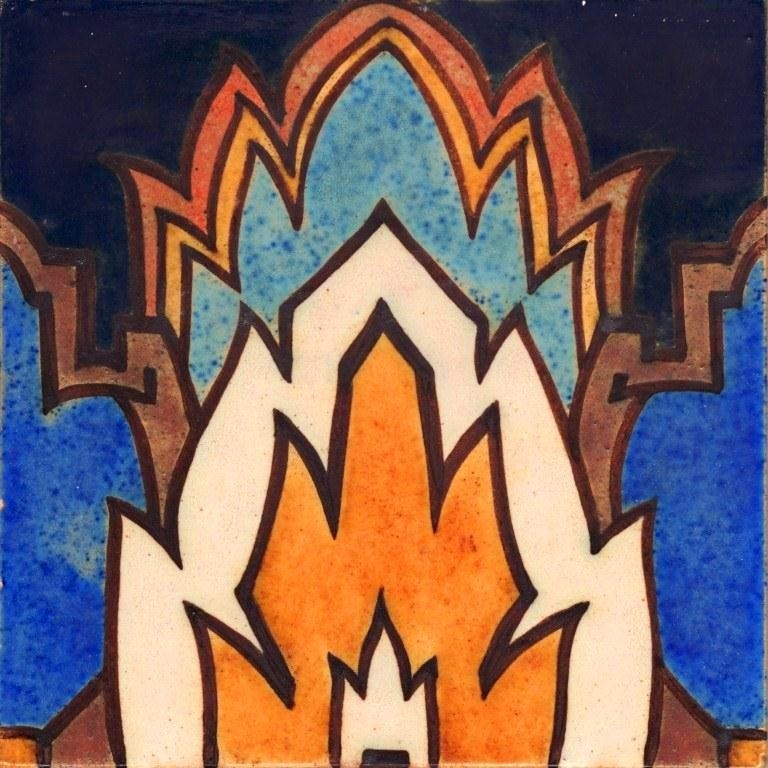 Art Deco tiles show either patterns with abstract forms of square, triangles and circles executed in bright strong colours or streamlined figurative motifs of humans, animals, ships and landscapes. 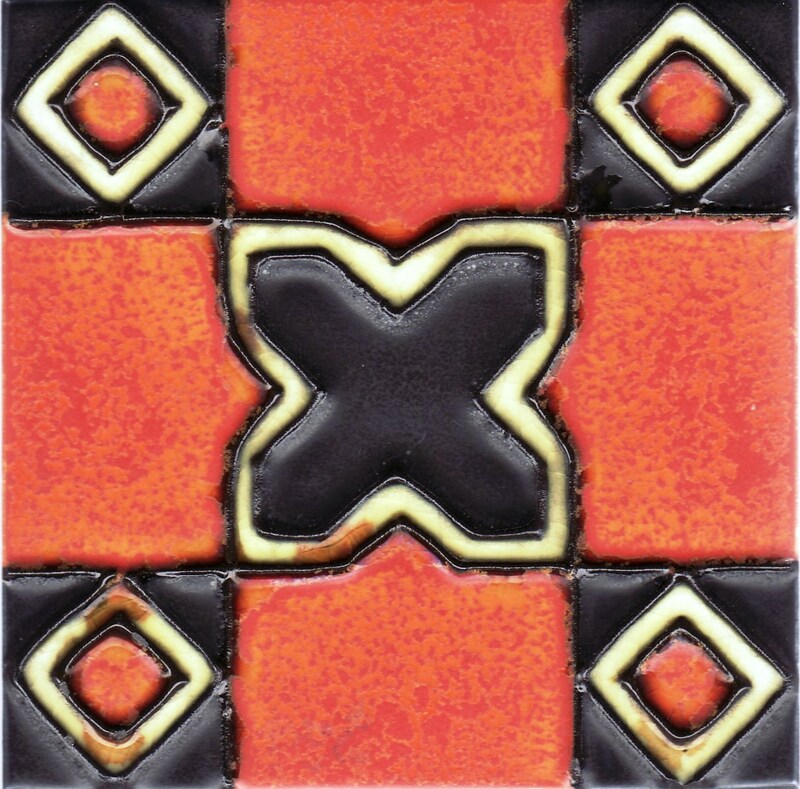 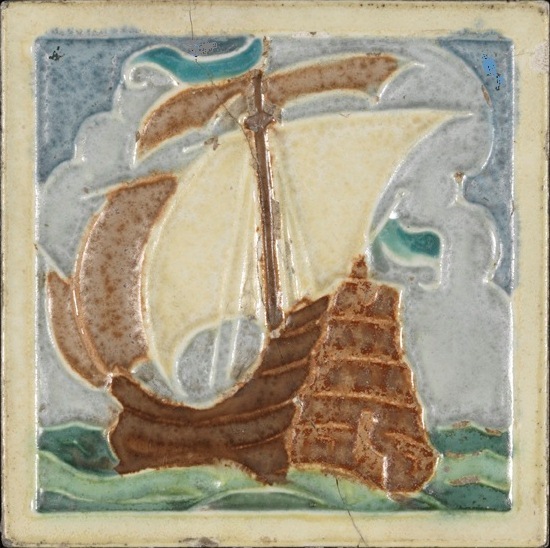 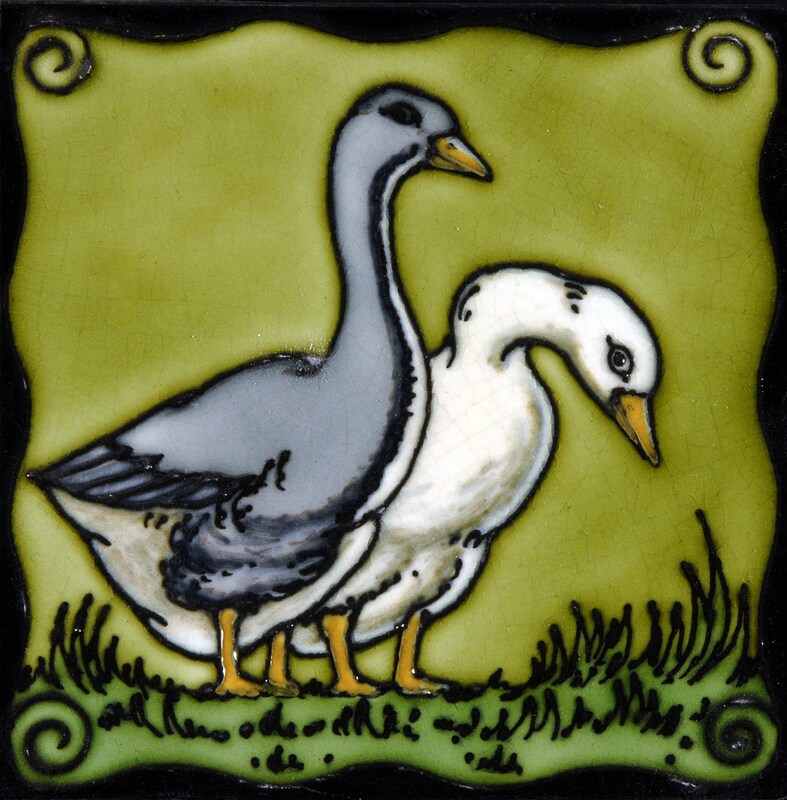 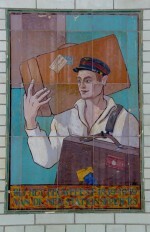 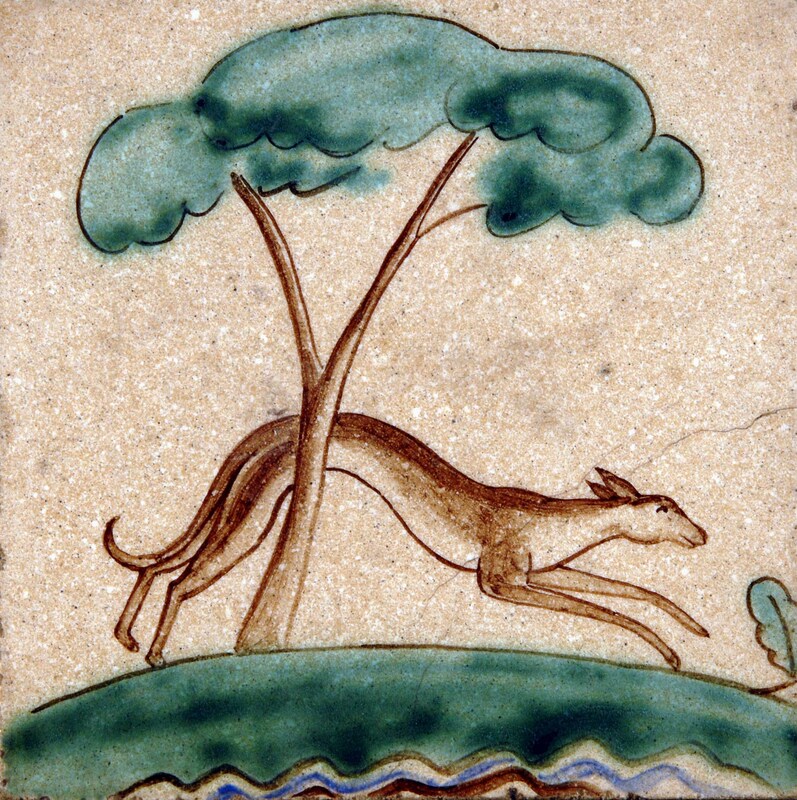 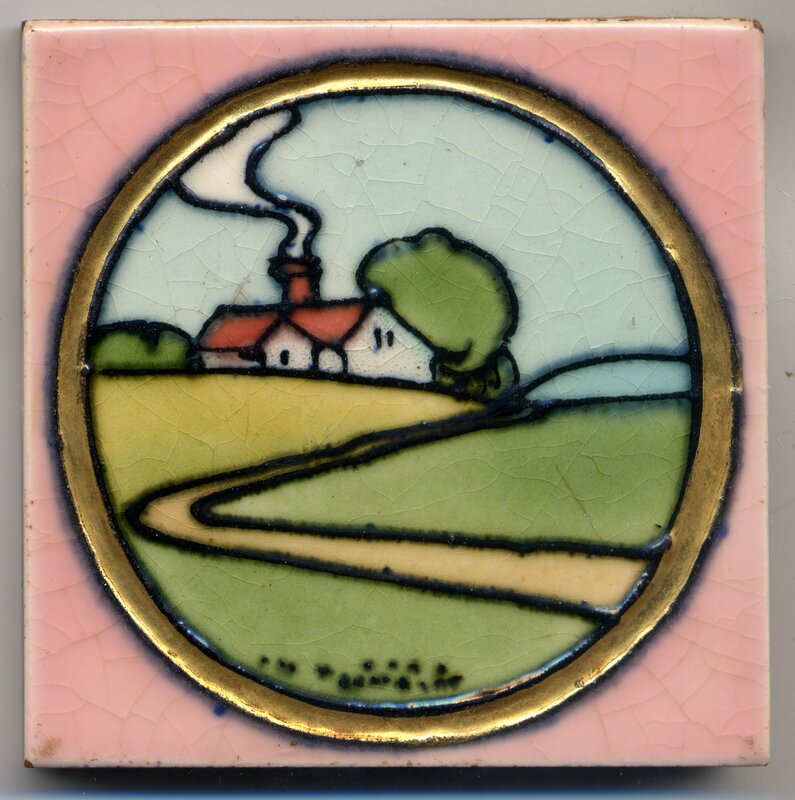 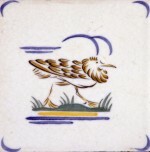 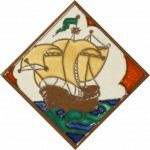 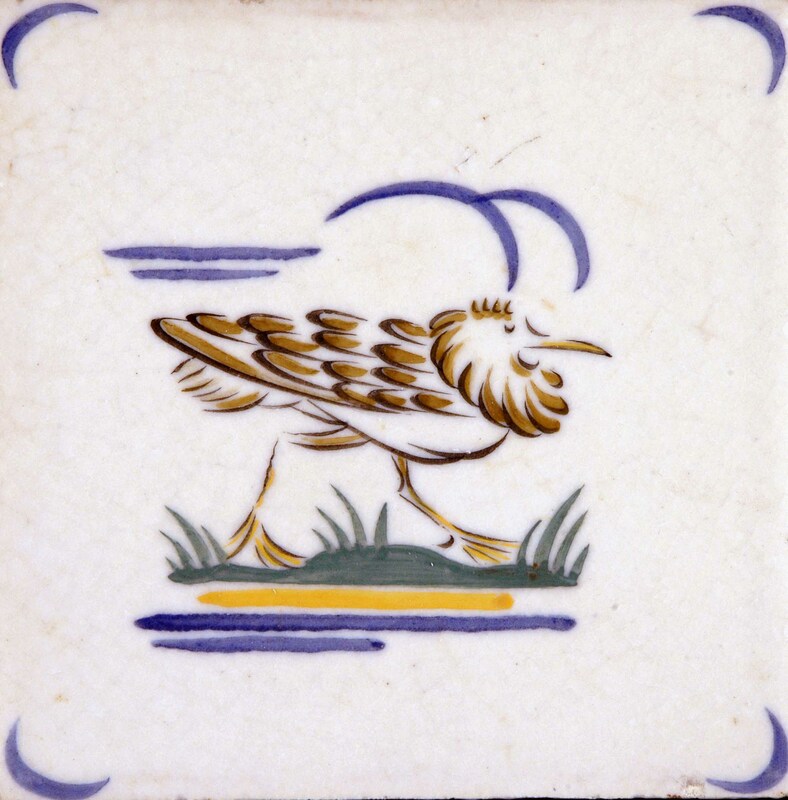 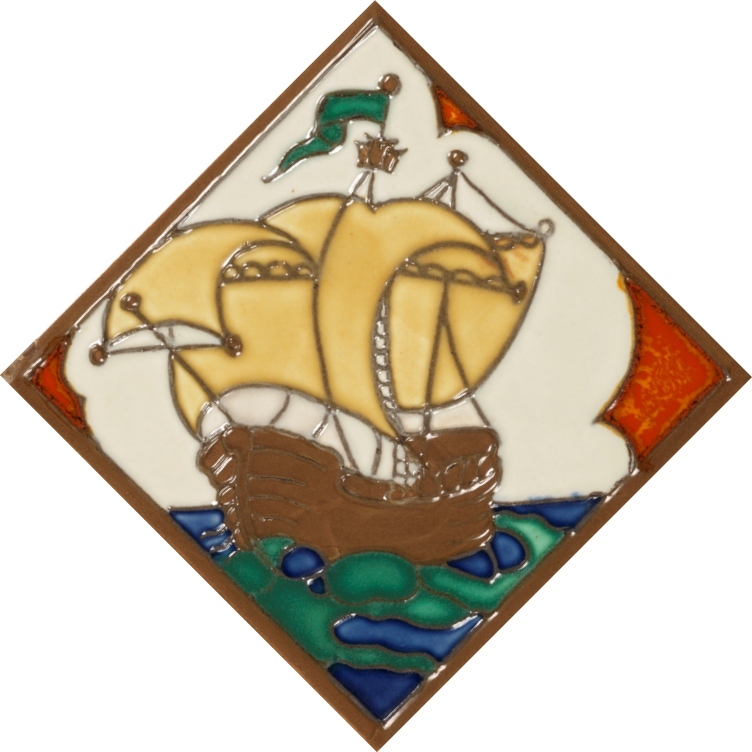 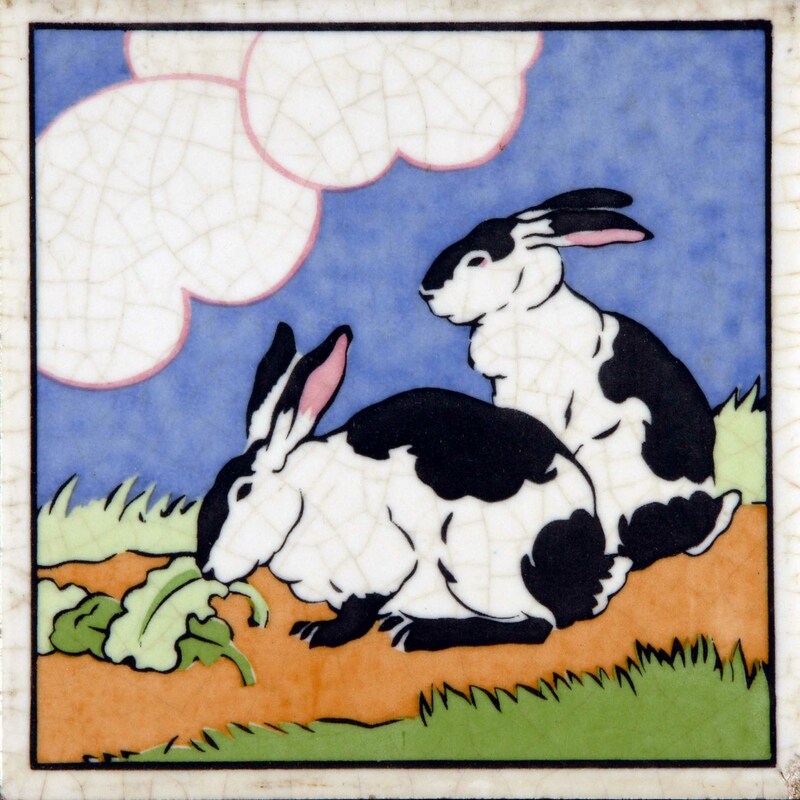 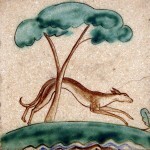 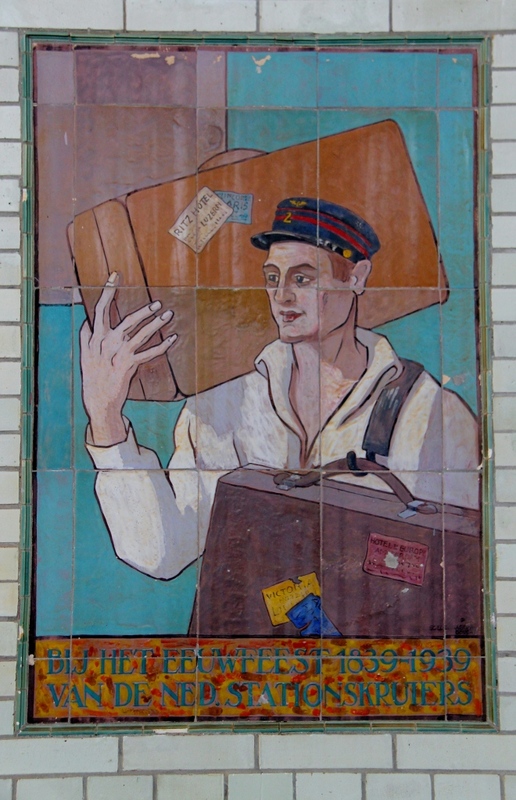 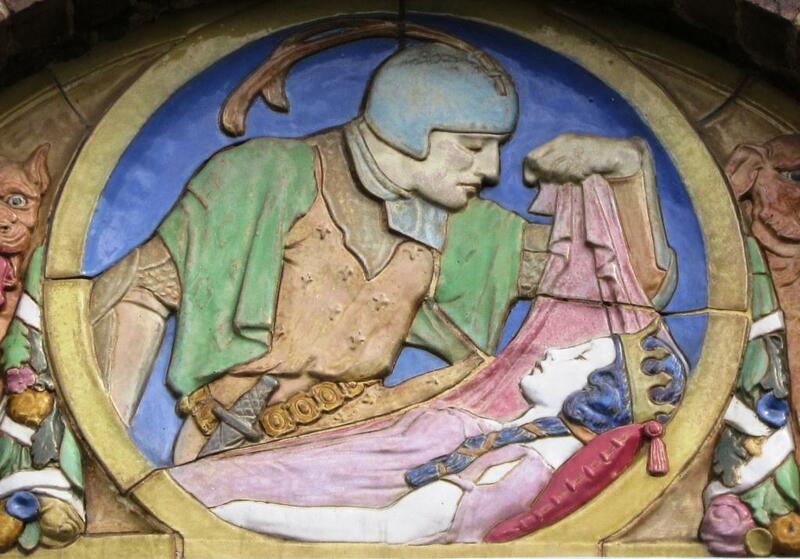 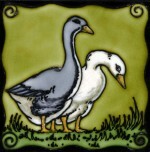 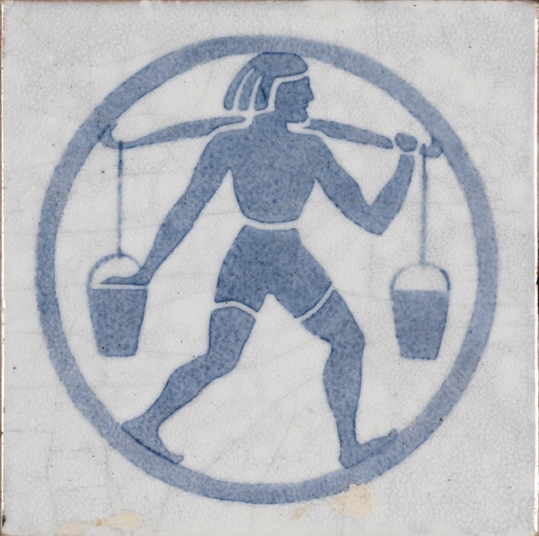 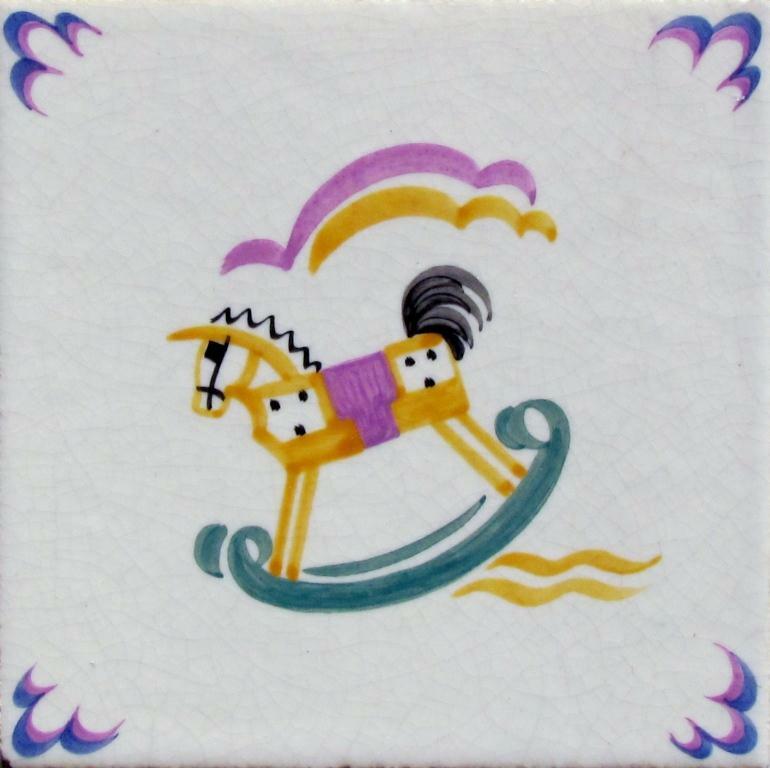 In Britain firms like Carter & Co. produced and extensive range of picture tiles, but fine Art Deco tiles were also made by Pilkingtons, Candy Tiles and the firm Malkin Tiles. 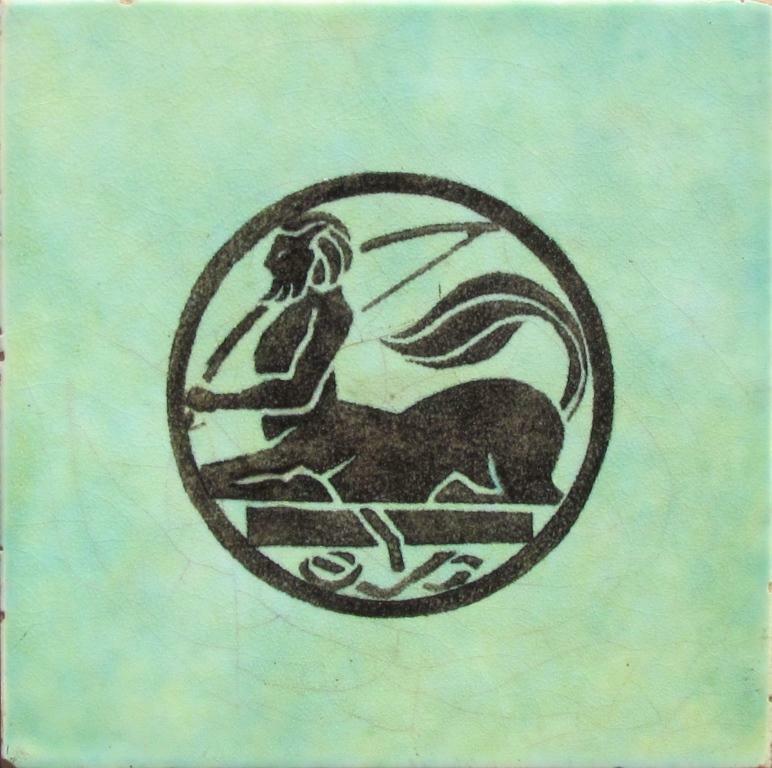 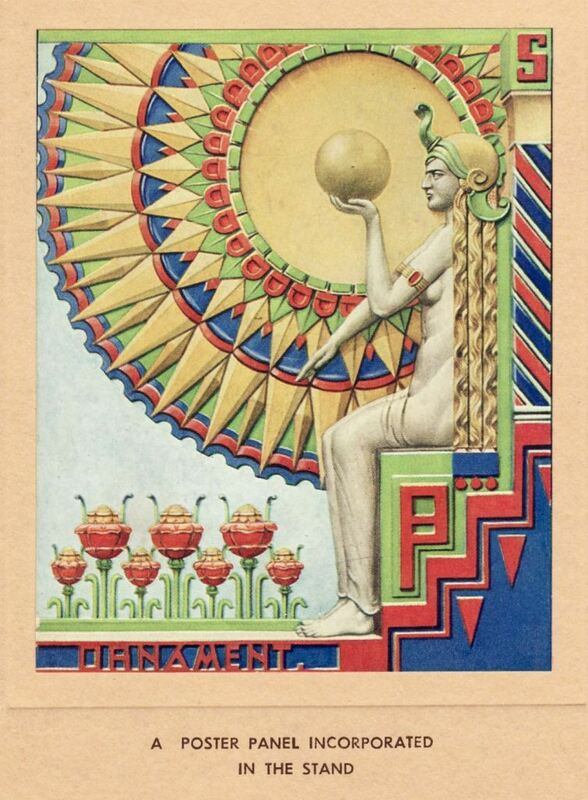 There were also small firms who specialised in decorating Art Deco tiles like Dunsmore in London and Packard & Ord in Marlboroough. 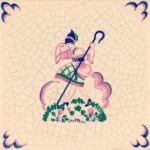 A small selection has been posted on this page. 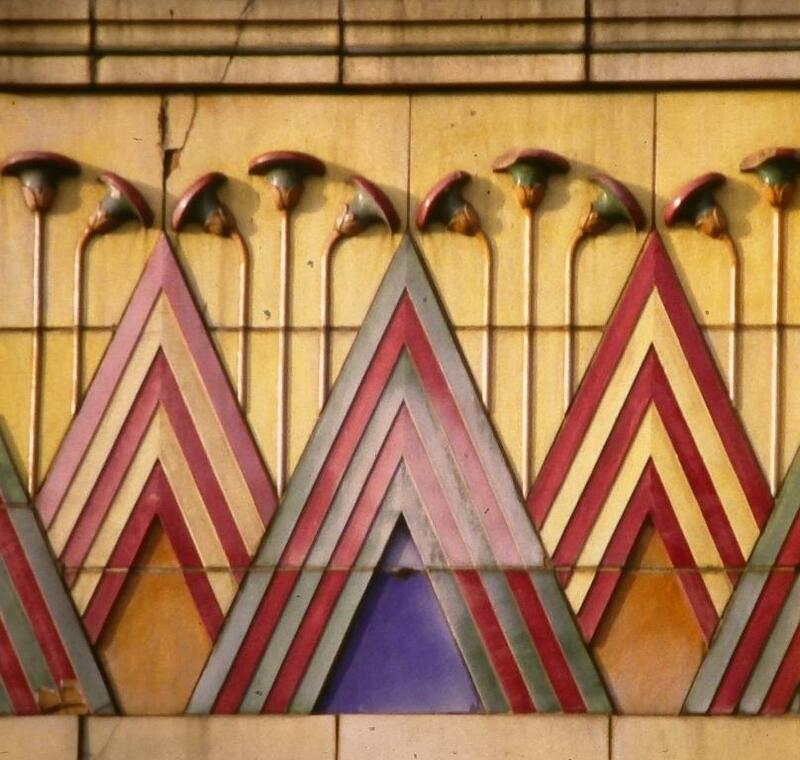 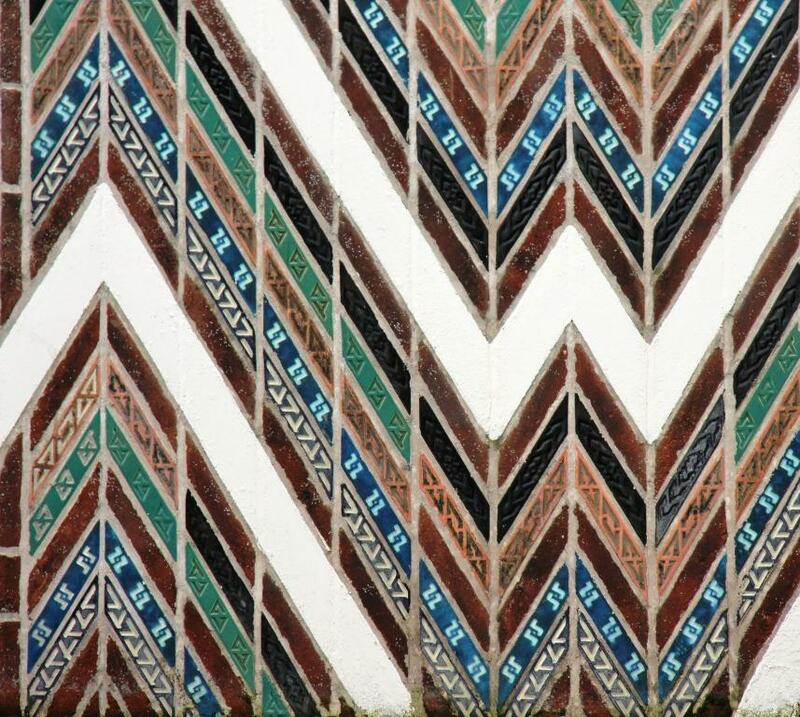 Proto Art Deco tiles on the facade of the house of the architect Edgar Wood in Hale near Manchester 1914- 1916. 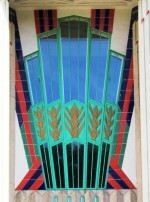 Panel on the facade of W.H. 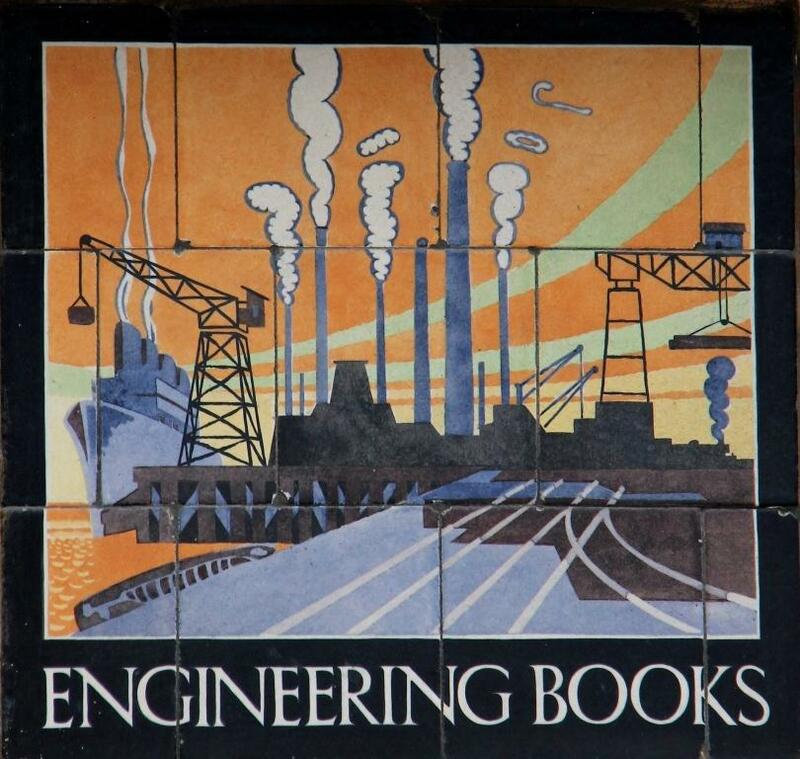 Smith bookshop in Llandudno, Wales. 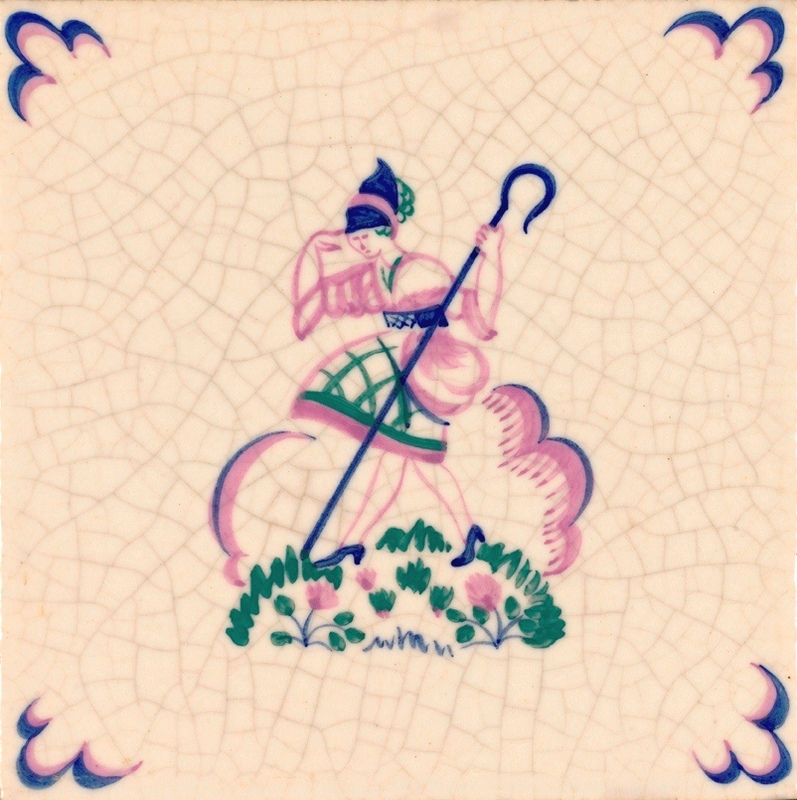 Made by Carter & Co. c. 1930.